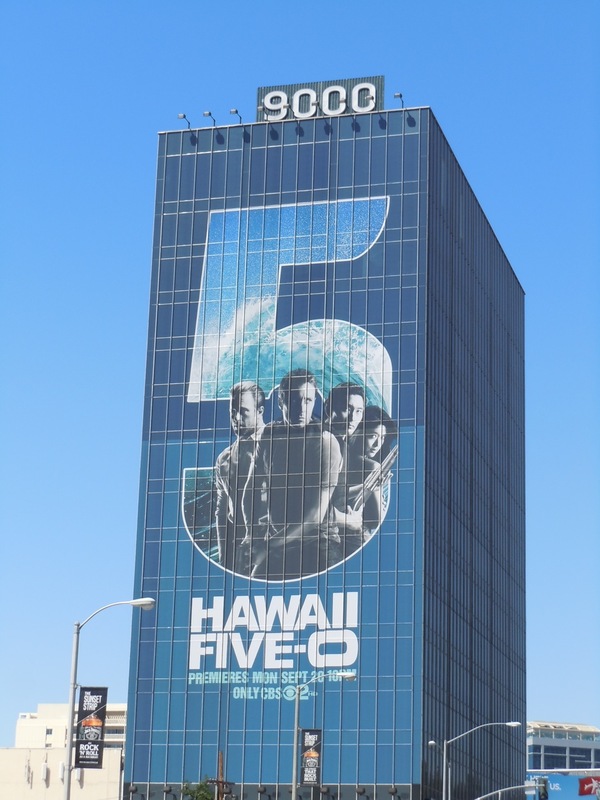 Alex O'Loughlin leads the charge of the revamped Hawaii Five-O, flanked by familiar faces from LOST and Battlestar Galactica, in this fantastic TV billboard. The re-imagined television show once again will chronicle the crime-fighting adventures of a special task force in the 50th state to join the United States of America. My only real problem with the billboards for this new series, and it's a slightly OCD thing, is that it's Hawaii Five-O (the billboard even sports a big number '5'), and yet there are only four people on the billboard. I have to say, that really messes with my head. However I'm sure it's not such a problem for other people, and this billboard creative above was photographed above the Hollywood & Highland Center in L.A. on August 23, whilst the larger version below was snapped on the 9000 Sunset Boulevard building on September 2, 2010. 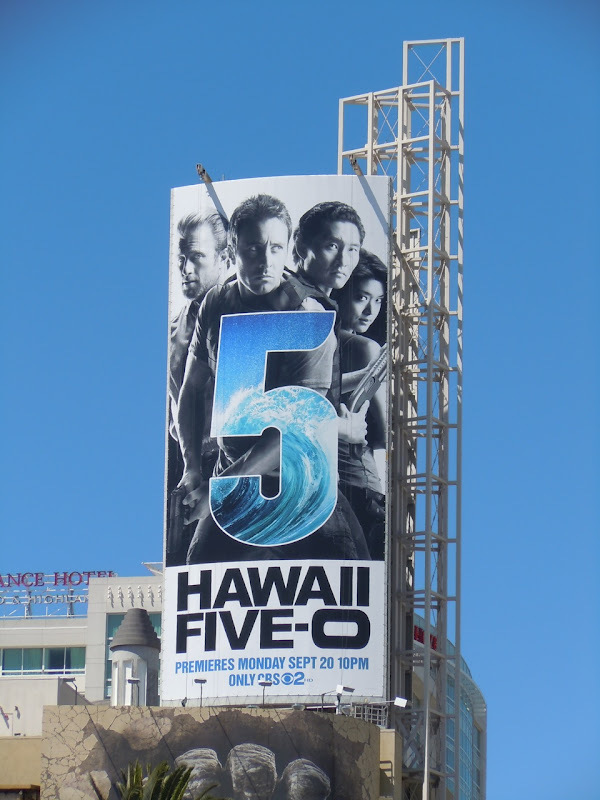 Be sure to check out the other fun billboard for Hawaii Five-O featuring all the main cast making a big splash.